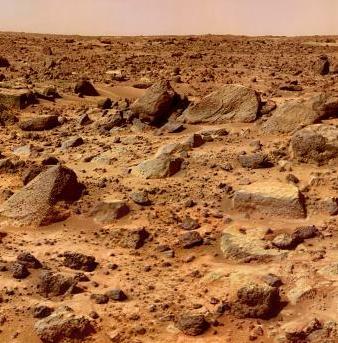 Why are we so interested in bringing the Mars astronauts home again? Now, Mars is kinda far away. It made its closest approach to Earth in 60,000 years in August of 2003 when it was “only” 56 million kilometers (about 35 million miles) away. Light takes three minutes to travel that far, so even a simple radio “Hello, how are ya? … Fine.” would take a minimum of six minutes to complete. And we’re still talking about the back yard here, none of this heroic “going where no man has gone before” galactic exploration stuff. Perhaps (so the article suggests) “older” scientists, who are gonna die soon anyway [but aren’t we all? ], could make up the crew. Not everyone is so love-em-but-leave-em callous. They offer suggestions such as sending a supply ship ahead, or periodic missions to replenish supplies. Personally, I don’t have a lot of faith in our planet being willing to sustain multi-million dollar supply missions for any significant length of time to support a half-dozen or so crew so far out of sight, out of mind. Bureaucracy would kill them sooner than the local environment. Yet, there are a lot of volunteers, at least according to spur-of-the-moment raise-your-hand-if polls. Of course it will probably never happen. There are already heated arguments between the man-must-go-himself and the robotics-only camps. Just imagine the confrontations between the noble-heroism-over-safety and the smother-to-death-protect-from-any-harm camps. Practical arguments aside, I don’t have any principled qualms against one-way journeys. Sometimes you have to get up and step out that door.